The Costa Blanca offers a wide range of areas and landscapes from coast to mountains, from bustling city locations to rural retreats. Here are a few of the more popular areas in this part of Spain. More are being added all the time – check back! Property for Sale in Torrevieja, Costa Blanca, Spain. Between Alicante and Cartagena, Torrevieja is a beautiful town, right on the Mediterranean Coast. Popular with tourists, all your round, Torrevieja offers a wide range of properties to suit all budgets. See all our property for sale in Torrevieja. Property for Sale in Algorfa, Costa Blanca, Spain. Roughly 25km, north west of Torrevieja, the quiet, inland town of Algorfa is a haven for many ex-pats from all over Europe. Property prices are generally lower than the those on the coast and benefits from easy access to Alicante Airport. See all our property for sale in Algorfa. Property for Sale in Campoamor, Costa Blanca, Spain. A short distance south of Torrevieja, Campoamor is an outstanding area of the Spanish southern coast. Beautiful beaches, lush green woodlands and a real taste of Spanish culture all go to make Campoamor one of the most popular areas on the Costa. See all our property for sale in Campoamor. Property for Sale in Mazarrón, Costa Blanca, Spain. See all our property for sale in Mazarrón. Property for Sale in Moraira, Costa Blanca, Spain. 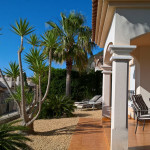 See all our property for sale in Moraira.